Paper # 5. 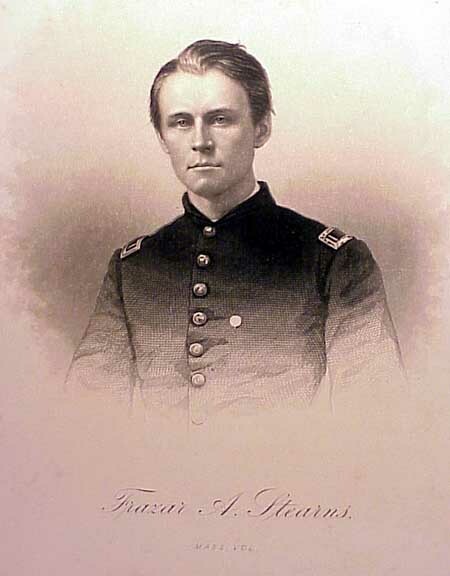 A steel engraving of Frazar Augustus Stearns, who fell in the battle of Newbern, March 14th 1862, was born in Cambridge, Mass., on the 21st day of June, 1840, and was twenty-one. Title: "Frazar A. Stearns Mass Vol." Size of paper: 7" x 10.5". Cut from a book. Condition: some foxing around the outer edges. Price: $50.00 plus Priority Mail shipping of $4.00 in the U.S.